The aim of the UKtech50 was to identify the 50 most influential leaders in UK IT. An expert judging panel, representing every aspect of the IT profession, helped decide the results, along with a reader vote to determine who holds the most influence over the future of the UK IT sector in 2013 – and hence the future of IT professionals across the country. 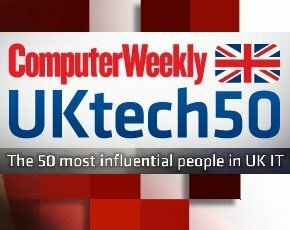 To view the remaining 30 names, and the top 50 in its entirety, click here to read the full rundown of the UKtech50 for 2013.